It’s rare when a film can tackle topics as seriously as bigotry and racism and still make it feel as if it’s a feel good story. That’s the best way to describe HIDDEN FIGURES, one of those stories that seem to be lost to time. Or is it more apt to describe it as one that those who record history would just as soon forget? Thankfully, there are those such as Margot Lee Shatterly, whose book serves as the source material for Allison Schroeder and director Theodore Melfi’s screenplay, who are diligent and intelligent enough to understand what may seem like a small moment in the here and now may actually be a bigger moment in history. 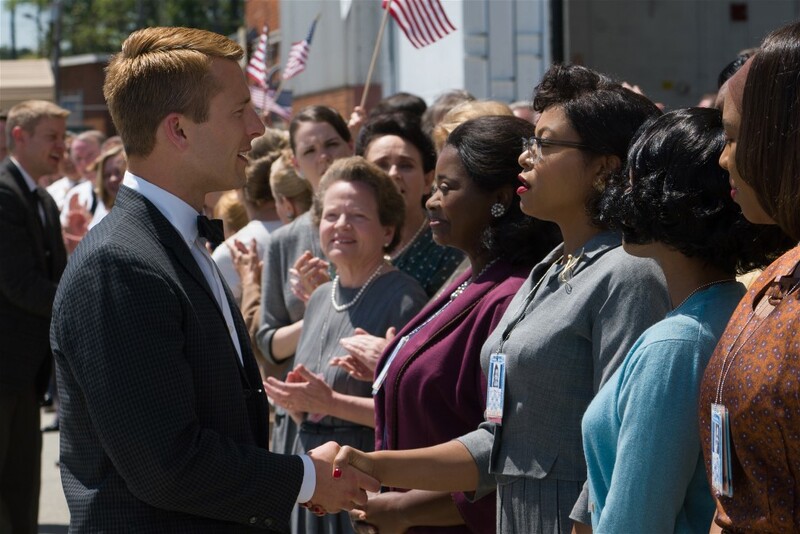 There’s no better way to describe the contributions of Katherine Johnson (Taraji P. Henson), Dorothy Vaughan (Octavia Spencer) and Mary Jackson (Janelle Monae) as three women of color who made significant contributions to America’s rapidly evolving space program. 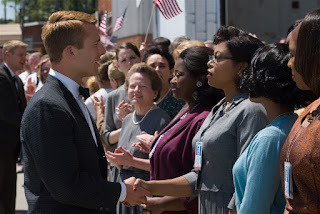 While the film focuses on Johnson, it explores what it meant for these women to be among some of the most valuable members in the space agency which then had offices in Virginia and still have to deal with the wretched system of Jim Crow which separated individuals by race. Known as “human computers,” they handled some of the most difficult mathematical computations needed to get the U.S. into space. Johnson, as presented, served the most significant role. Typical of the time, she was greeted with silent disdain and condescension by her peers in the engineering department, who were white males, because of her color and her gender. Let’s not forget the latter, because it’s equally important to remember that someone such as Johnson faced multiple hurdles. However, she perseveres along with her friends. Ultimately, she literally fights for her place at the table when working on dealing with missions of importance, including the late John Glenn’s launch into space and successful orbit of Earth. Melfi presents all of these issues as more of a logical progression of what needs to be with respect to how Johnson’s interacts and deals with a situation that is far from ideal. It’s more of a slow burn rather than three-alarm fire. For example, when Johnson has finally had enough for a myriad of reasons and allows her emotions to fly, the end result is a powerful moment worth the wait. The same can be said of how her supervisor Al Harrison (Kevin Costner) responds. His reaction proves to be an eye-opening moment for those sitting on the periphery participating in an unjust system simply because that’s the way it’s always been. Melfi sprinkles more than a few such moments throughout HIDDEN FIGURES. The result: every primary cast member receives a moment (s) to shine. Don’t be surprised if multiple cast members receive Oscar nominations. Additionally, Ohioans should take note of how the film portrayed Glenn. It’s something to revel in and enjoy. Could HIDDEN FIGURES have possessed more edge? Definitely. However, the film’s underlying message is about what can be done when we as a people work together. It strikes a careful balance in showing how things were, and what they could be. In the process HIDDEN FIGURES proves to be an enjoyable way to begin the new year. Rated: PG for thematic elements and some language.